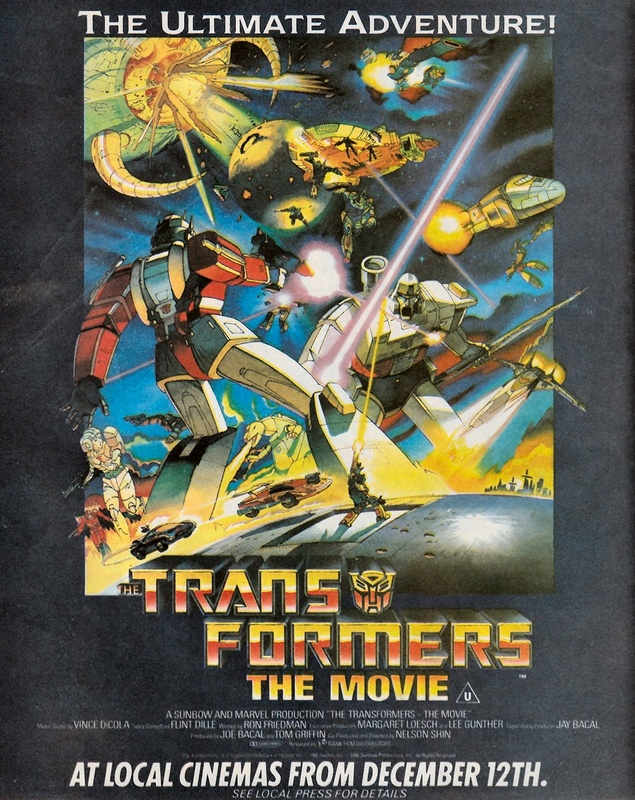 [remark]: The Transformers: The Movie is a 1986 animated feature film based on the animated series of the same name. It was released in North America on August 8, 1986 and in the UK on December 5, 1986. 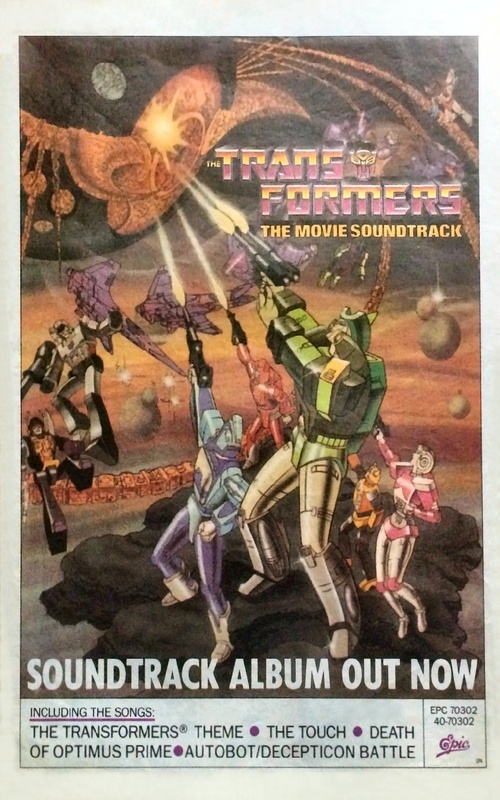 The film was directed by Nelson Shin, who produced the original Transformers television series, and features the voices of Eric Idle, Judd Nelson, Leonard Nimoy, Casey Kasem, Robert Stack, Lionel Stander, John Moschitta, Jr., Peter Cullen and Frank Welker. It also marked the final roles for both Orson Welles and Scatman Crothers. 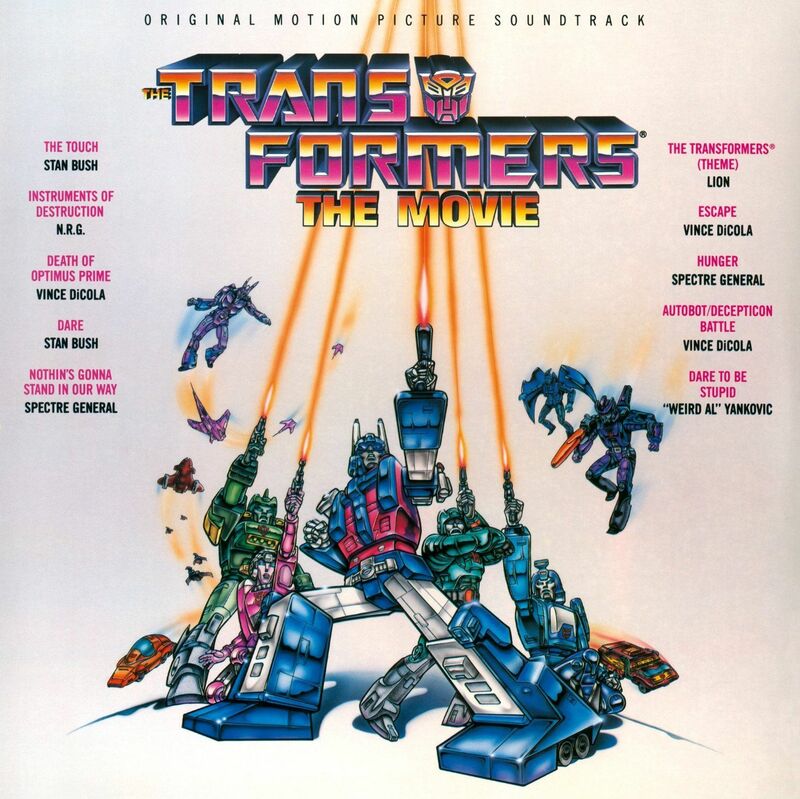 The Transformers The Movie: Original Motion Picture Soundtrack is the 1986 soundtrack from the motion picture The Transformers: The Movie. It was released in the United States by Scotti Bros. Records on vinyl record and compact cassette. It was released in Japan by Pony Canyon on audio CD in 1989. In 1992, Scotti Bros. released the album on CD in the US. By 1999, it was subsequently re-issued by eventual successor company Volcano Entertainment and was re-released in 2007 with updated cover art and 4 bonus tracks. The soundtrack label in Canada lists the band's true (Kick Axe) name rather than their American alias (Spectre General). "Nothin's Gonna Stand In Our Way" was a cover of a song originally performed by Australian singer John Farnham for the soundtrack to the film Savage Streets. "Hunger" was later covered on King Kobra's Ready To Strike album.